On Books, Writers, Most Things Written, Including My Light Verse. 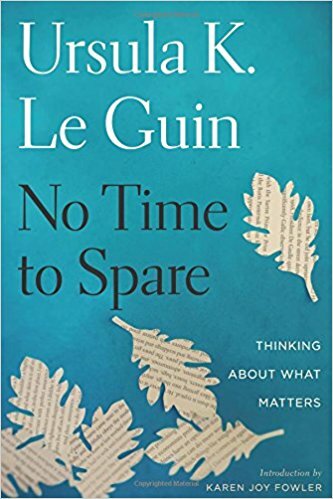 You can read my review of Ursula K. Le Guin’s last book No Time to Spare:Thinking about What Matters in the January 28, 2018 edition of the Houston Chronicle by clicking the image below. You can buy No Time to Spare at Barnes & Noble. "No man but a blockhead ever wrote, except for money." Clicking my picture will take you to my web site. Jonathan Lethem’s Latest, ‘The Feral Detective,’ is More than the Usual Whodunit.